Travelling directly between the capital and Thailand’s fourth-largest city is easy. Buses depart throughout the day and night from Bangkok’s Mo Chit bus station (also known as the Northern & Northeastern bus terminal) as well as from the traveller’s epicentre of Khao San Road (*). The journey takes between 9 and 12 hours. 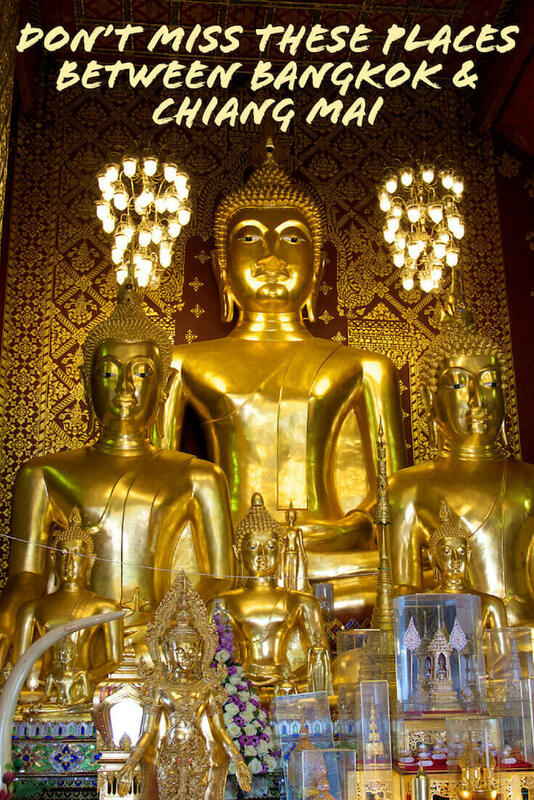 (*) Generally speaking, although it is tempting to hop on a bus departing directly from the Khao San Road area if you are staying near there, it is much better, safer and often cheaper to head to Mo Chit and take a bus from there. Equally, there are several daily trains that slowly trudge the 600km between the two cities and, if you book well enough in advance, there are also stupidly cheap flights on budget airlines such as Air Asia and Nok Air. But, what a lot of people don’t realise (especially those who are new to Thailand), is the fact that there are several places, two of which are home to world-class UNESCO-listed sights, on both the main bus and train route heading north that are destinations in their own right and well worth a stopover en route between Bangkok and Chiang Mia or visa-versa. 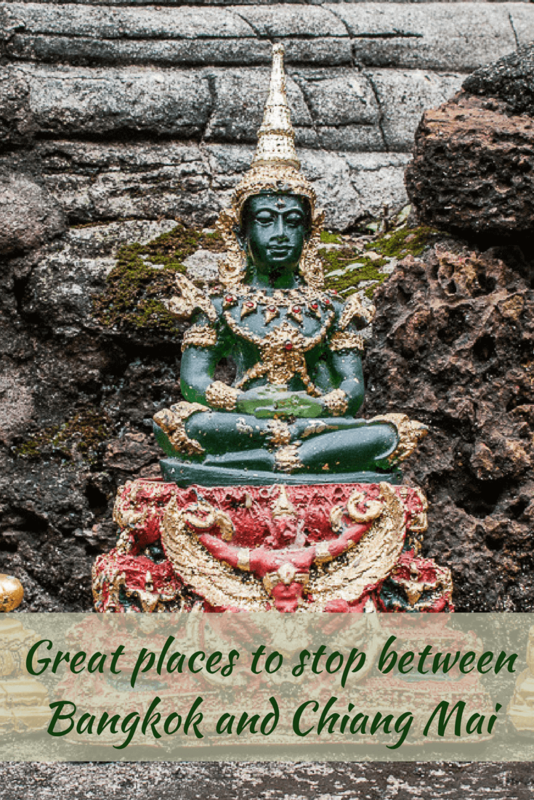 I’d even go as far as to say that, unless you are short on time, it is almost criminal to travel non-stop between Bangkok and Chiang Mai and by doing so, you potentially miss out on some of the best sights in Central and Northern Thailand. 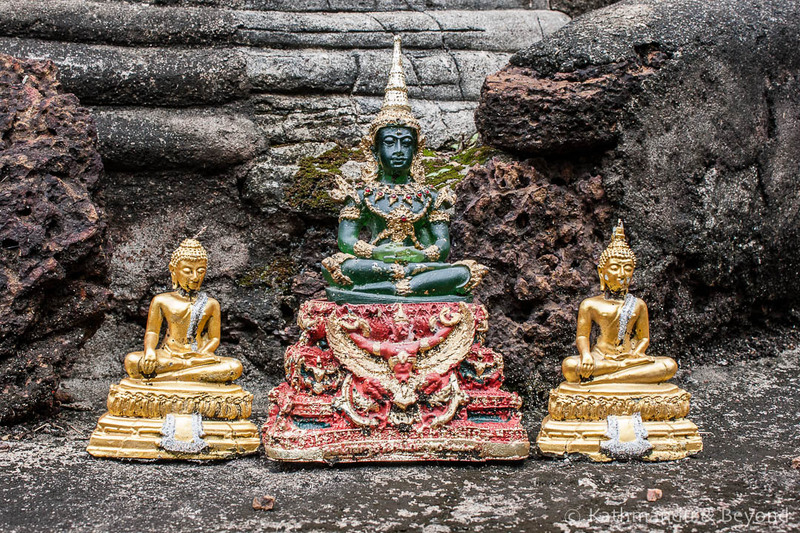 Once a prosperous trading port and important world city, the glorious, ancient Siamese capital is the first of two UNESCO World-heritage listed destinations that can be easily visited en route between Bangkok and Chiang Mai. 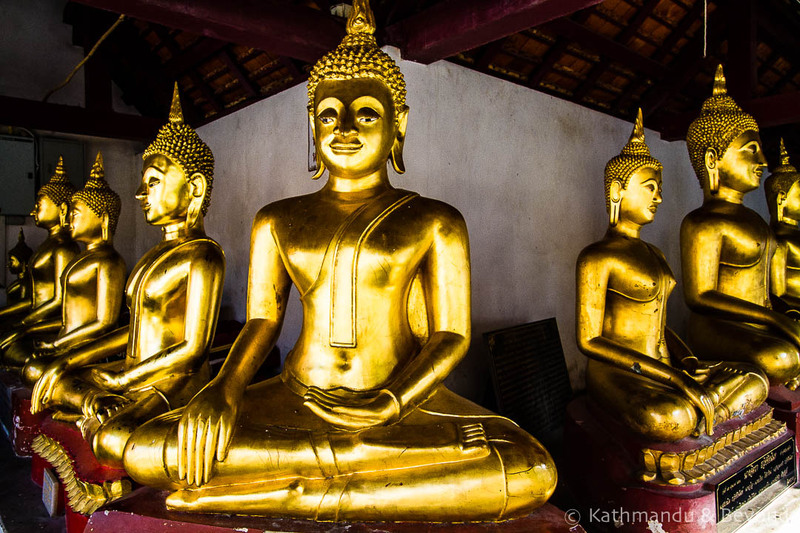 There is a myriad of temples, in various states of restoration, both within the city limits and further afield, which can easily be seen in a day either by bicycle or tuk-tuk. 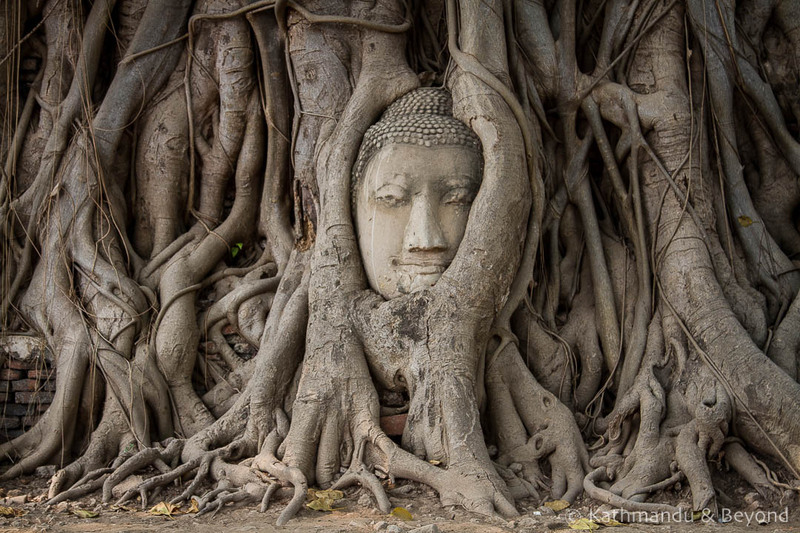 In fact, many people simply visit Ayutthaya as a day trip from Bangkok but the town itself is a good place in which to stay for a couple of nights and has a nice, low-key, backpacker vibe to it. 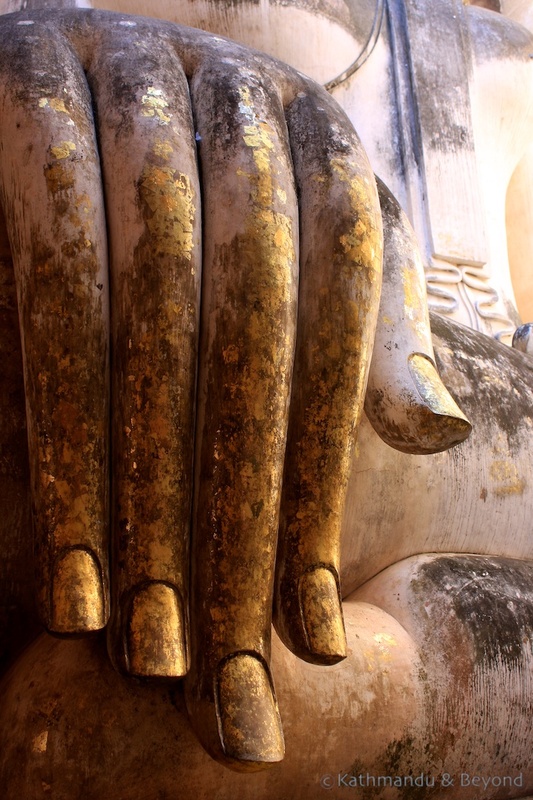 There are other things to see and do in Ayutthaya besides exploring the temples. The town is a good base for visiting the 17th century Bang Pa-In Palace plus there is a daily floating market which, although very touristy, is easy to get to if you are interested in that sort of thing. Phitsanulok won’t win any awards for its attractiveness as a city, but it is worth a stopover to visit the town’s most important temple, Wat Phra Si Ratana Mahathat. 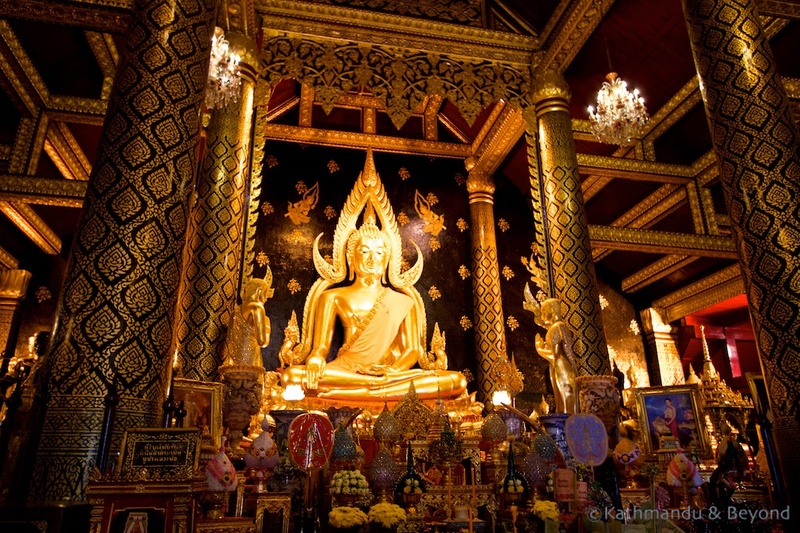 Located on the banks of the Nan River, the temple is one of the most revered in all Thailand as it is home to Phra Phuttha Chinnarat, a gold sculpture of Buddha that is considered by many Thais to be one of the most beautiful in the entire country. Despite its reverence, Wat Phra Si Ratana Mahathat is often a noisy place and jam-packed with visitors (both Thais and foreigners). In a funny way, this adds to the atmosphere of the place and it’s easy to spend an hour or so wandering around the complex. 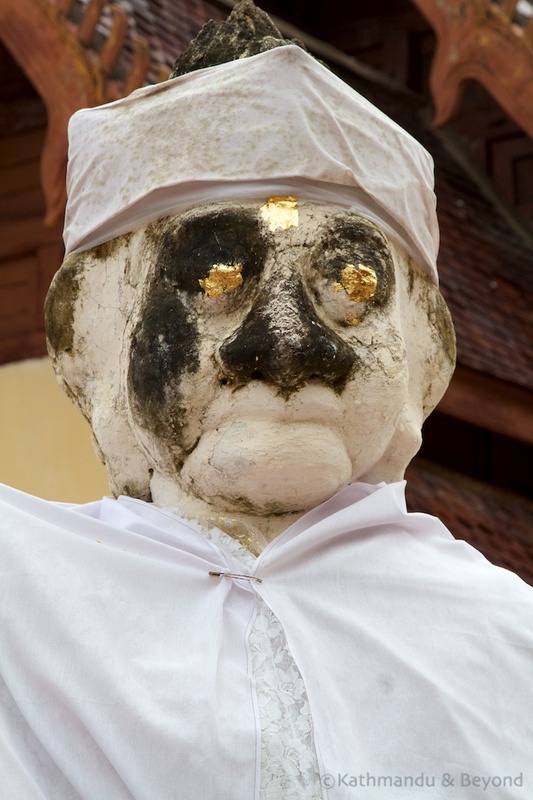 Away from Wat Phra Si Ratana Mahathat, neighbouring Wat Ratburana is also worth visiting. Sukhothai Historical Park (along with nearby Si Satchanalai and Kamphaeng Phet (see below)) is the second UNESCO World-heritage site on the route north from Bangkok to Chiang Mai. It is one of the most visited historical ruins in the country and there is a good reason for that. Simply put, this ancient kingdom is stunning. It is certainly on a par with the temples of Angkor in Cambodia and Bagan in Myanmar (Burma). 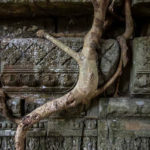 Yet, even though it is visited by thousands annually, it is easy to find a tranquil spot among the multitude of temples and other historic monuments. The park is divided into zones and is too big to explore on foot. Hiring a motorbike is not a bad idea, especially if you also want to visit Si Satchanalai and Kamphaeng Phet, but the most pleasant way to see the ruins is on a bicycle. Slowly meandering along the flat, well-paved roads from one archaeological zone to another and stopping every now and then for a drink or a rest in the shade is a lovely way to see the ruins and one we would highly recommend. 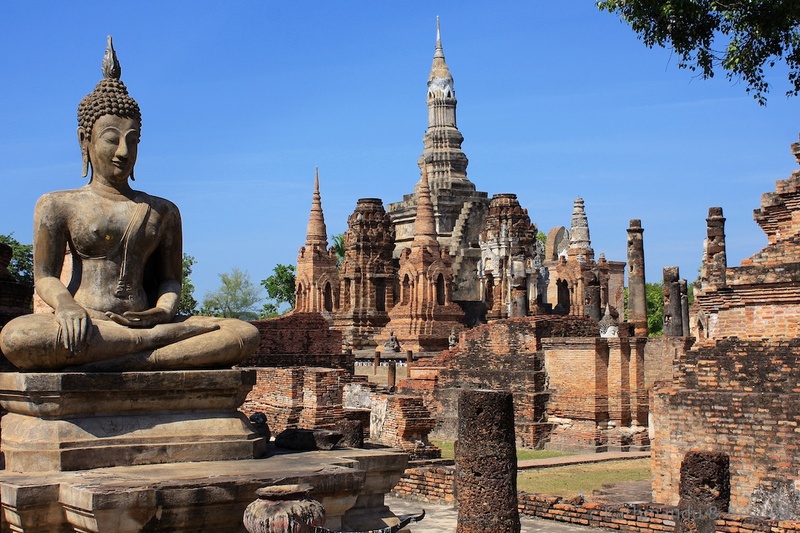 The other two places that make up the three ancient centres of the Kingdom of Sukhothai are Si Satchanalai and Kamphaeng Phet. Both are well worth visiting but involve a little more effort. 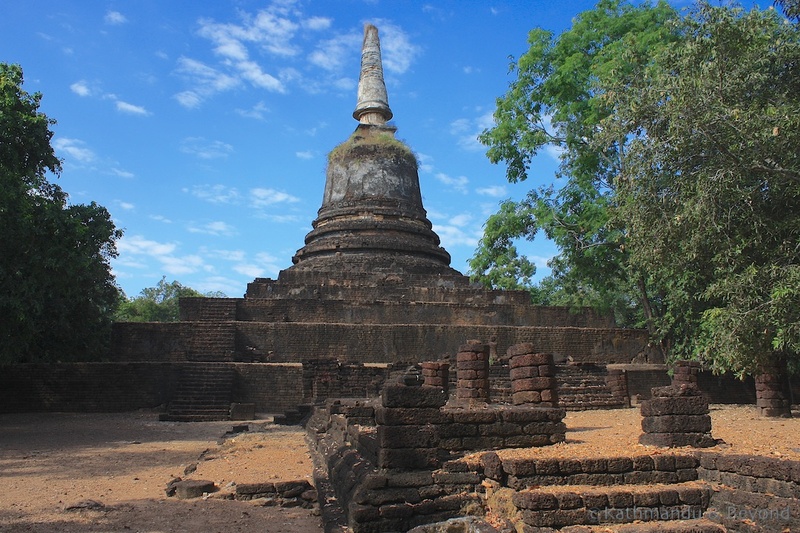 Si Satchanalai, and close by Chaliang, form another Historical Park that is located 58km directly north of Sukhothai. Si Satchanalai has the most rural setting of the three centres and sees far fewer visitors than Sukhothai. In a way, it is even more appealing than its more famous neighbour. 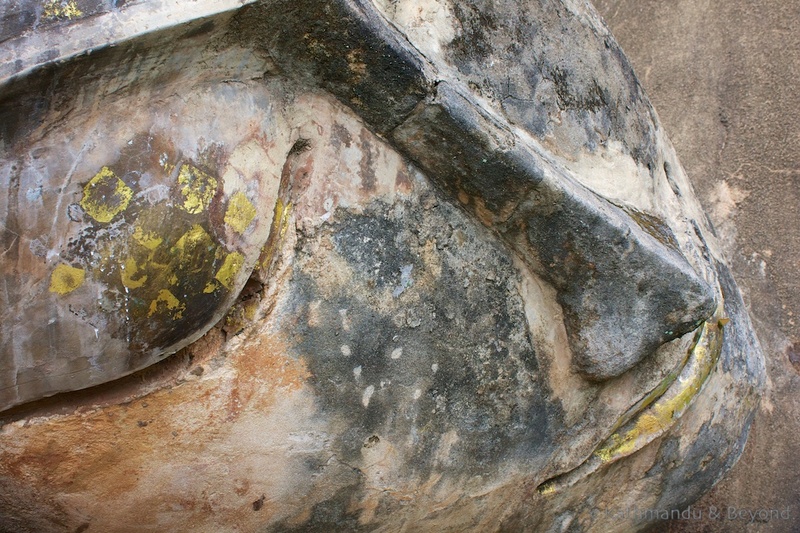 There is more rummaging to be done at Si Satchanalai and the surrounding forest gives the site plenty of atmosphere. There are buses from Sukhothai to Si Satchanalai (1.5 hours in each direction) but you will need to walk the final stretch after the bus has dropped you off. It is certainly more convenient in this instance to have your own transport and this is what puts many independent travellers off visiting. What’s more, there is very little in the way of places to eat near the site, although you should be able to find a simple pad thai and someone selling cold drinks. The third and final Historical Park associated with the Sukhothai Kingdom is Kamphaeng Phet, which is located 80km south-west of Sukhothai. The ruins here, which date back to the 14th century, are the least impressive of the three but equally, they see fewer visitors and so you are likely to have them all to yourself. 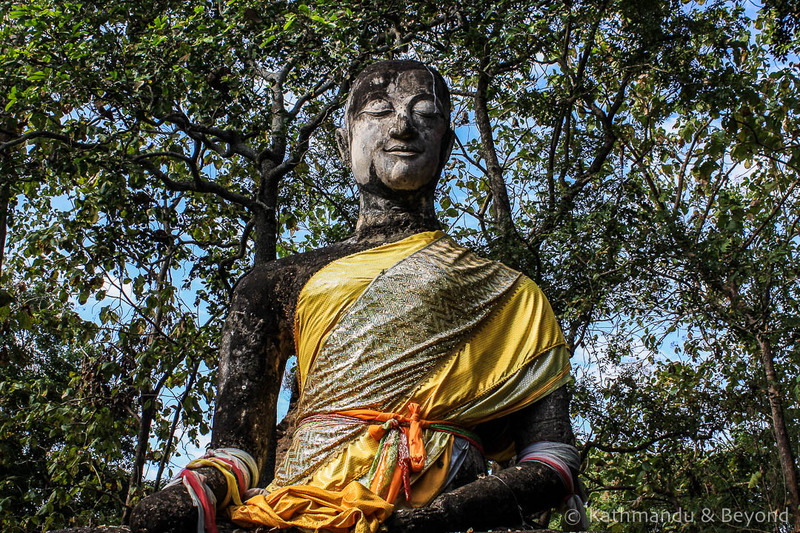 There are some wonderful Buddhist statues at Kamphaeng Phet and again you will need a bicycle or some other form of wheeled transport to see them as they are fairly spread out. Although further from Sukhothai than Si Satchanalai, Kamphaeng Phet has better transport links and can be reached by public bus in just over an hour. There are also plenty of accommodation and eating options in Kamphaeng Phet. You will need a minimum of two clear days to do all three sites justice and if you are relying on public transport, add in a third (a day for each) for good measure. It’s a bonus that the town of New Sukhothai, although not especially interesting in itself, does have a range of places to stay as well as some decent restaurants and is the most logical base for exploring the area. 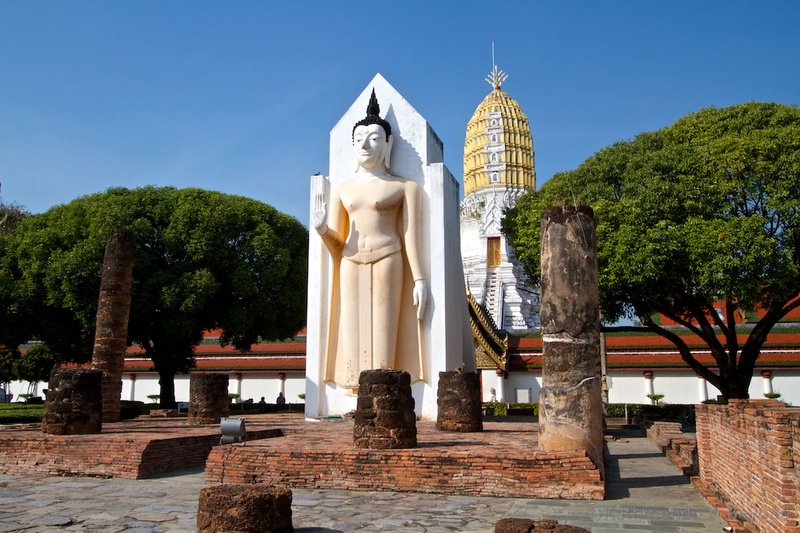 Although that said, Kamphaeng Phet is also well connected by public transport with Phitsanulok (110km, 2.5 hours) so it would be possible to cut across from the latter, visit Kamphaeng Phet and then continue to Sukhothai. Finally, Kamphaeng Phet is almost equidistant between Bangkok and Chiang Mai and there are plenty of buses plying both routes. On the other hand, for some strange reason, there is very little in the way of public transport between Kamphaeng Phet and Ayutthaya. You are well into the north of Thailand by the time you get to Lampang. Only 100km from Chiang Mai, the Lanna city of Lampang has the added bonus of not just being all about temples or ancient kingdoms. Here you will find elephants, refined mansions and some truly delicious cuisine. Of course, there is a temple and it is an important one that should not be missed. Wat Phra That Lampang Luang, on the outskirts of Lampang (reachable by sorng·taa·ou (fixed-route, public transport)) is a Lanna-style temple that is very active and reportedly houses the country’s oldest wooden temple structure, Wihan Luang. Also on the outskirts of town, 33km in a south-easterly direction, is the Thai Elephant Conservation Centre. 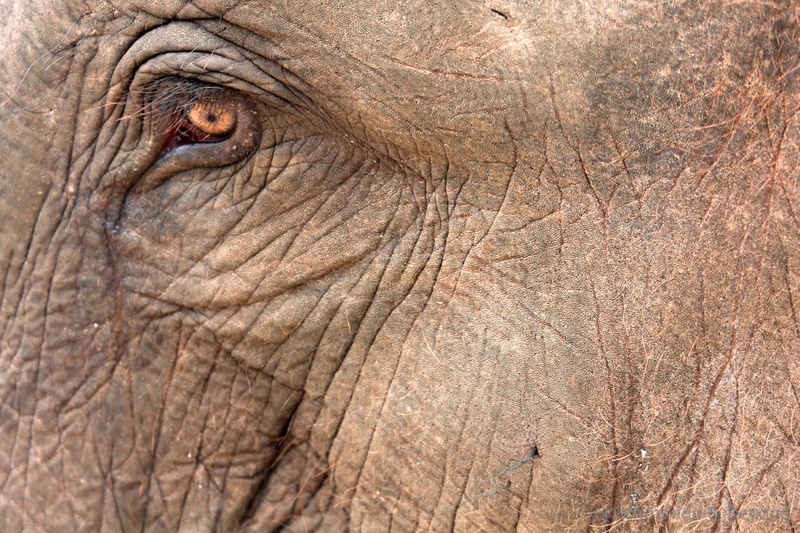 I’m not going to get embroiled in the should you visit an elephant sanctuary in Thailand or not? debate (hint: do your homework), I’ll leave that to those who have a stronger opinion on the matter, but what I will say is that we’ve visited this one twice and found it both interesting and educational. 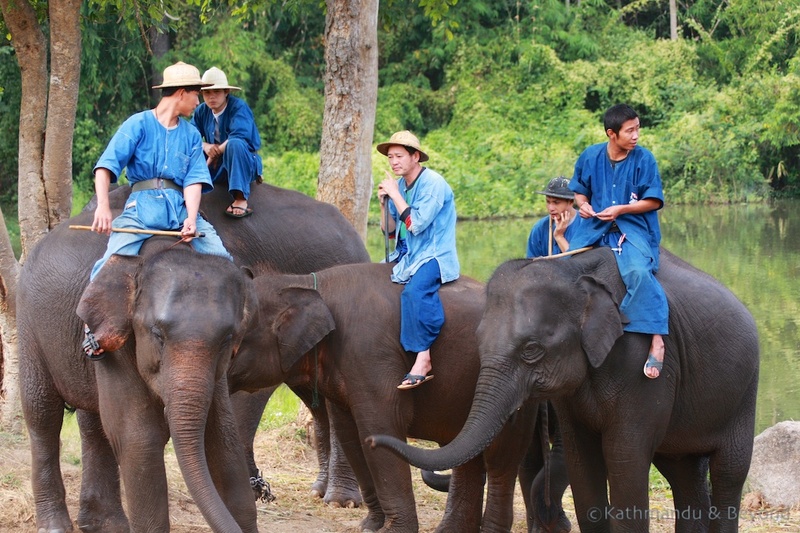 We have never done (and probably never will do) one of the mahout courses on offer (or in fact ridden on an elephant there), but we have followed them around and watched them being bathed and enjoyed the experience. If you want to visit the Thai Elephant Conservation Centre, take any Chiang Mai-bound sorng·taa·ou and ask to be dropped off at the main entrance just off the highway. Back in the centre of Lampang, strolling, or taking a ride in one of the city’s famous horse-drawn carriages, around the old town and down by the river is a favourite past time. And when it comes to dinner time, check out Aroy One Baht, a traditional, wooden restaurant in the heart of the city that serves up some excellent Northern Thai cuisine. Lamphun is so close to Chiang Mai that it often gets overlooked as a destination in its own right even though it is one of the oldest cities in Thailand. Indeed, given that it is only 20km from downtown Chiang Mai and transport between the two is so frequent, it’s hard to recommend more than a day visit. 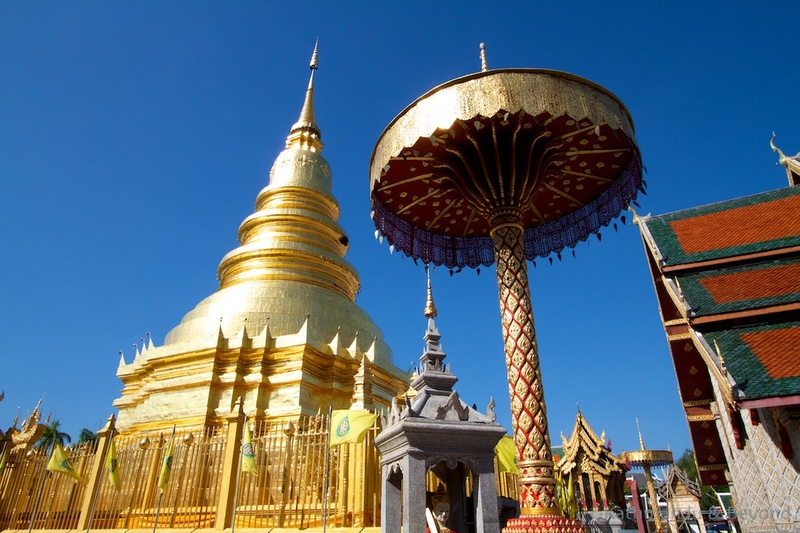 The main reason to come to Lamphun is to see Wat Phra That Hariphunchai, a rather lovely temple complex with a large golden chedi (a Thai stupa). 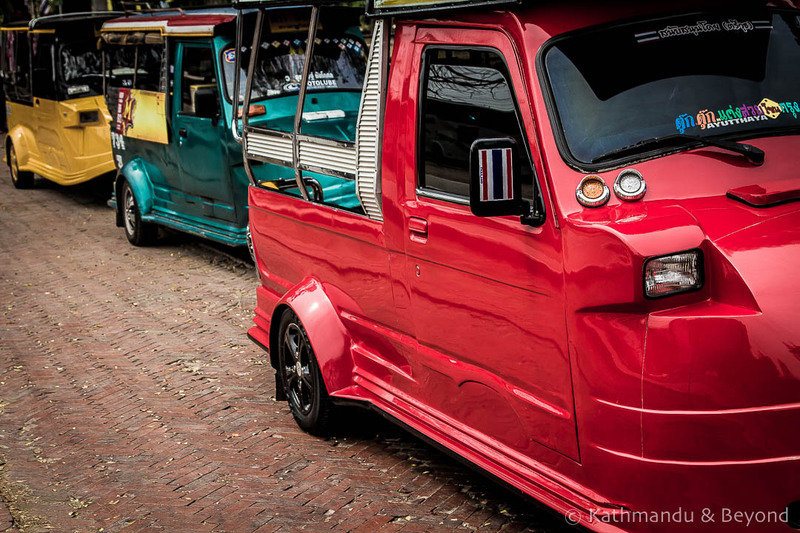 Apart from the temple, there is little else of interest in the city but if you have your own wheels, it is worth taking the back route (Highway 106) to/from Chiang Mai rather than the motorway. For part of the journey, lofty trees on either side of the road form a natural canopy. Nearly all of the trees are decorated with a large, orange sash and the scene is very pleasing to the eye. 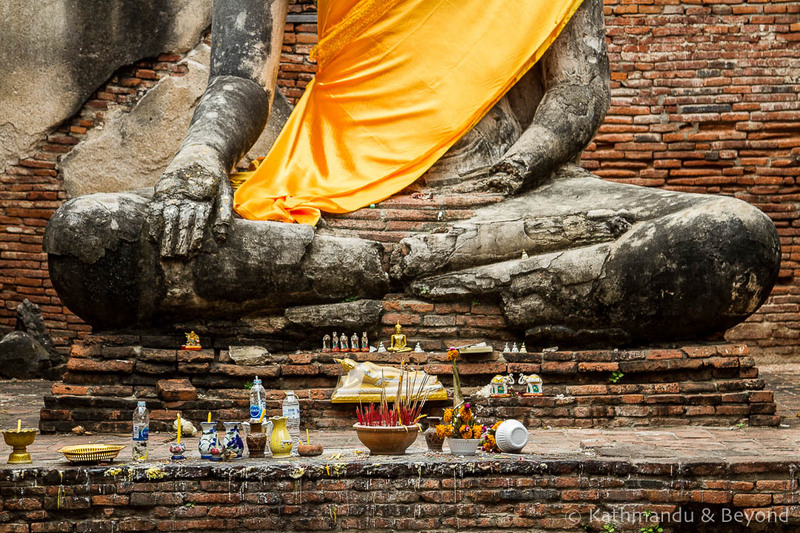 There is another place on the route between Bangkok and Chiang Mai in which you could stop if you so desired – a place associated with the ancient capital of Ayutthaya, a place associated with ruins, historical buildings and temples and a place associated with, oh yeah, monkeys. Lopburi, 65km north of Ayutthaya, is completely overrun with Crab-eating macaques. I can’t stand monkeys at the best of times, but when we visited Lopburi with Kirsty’s parents a few years back, none of us would even get out of the car. We parked up, watched the little sods run riot for about 10-minutes, restarted the engine and left the city. They were vile creatures – stealing, fighting and generally running amok. 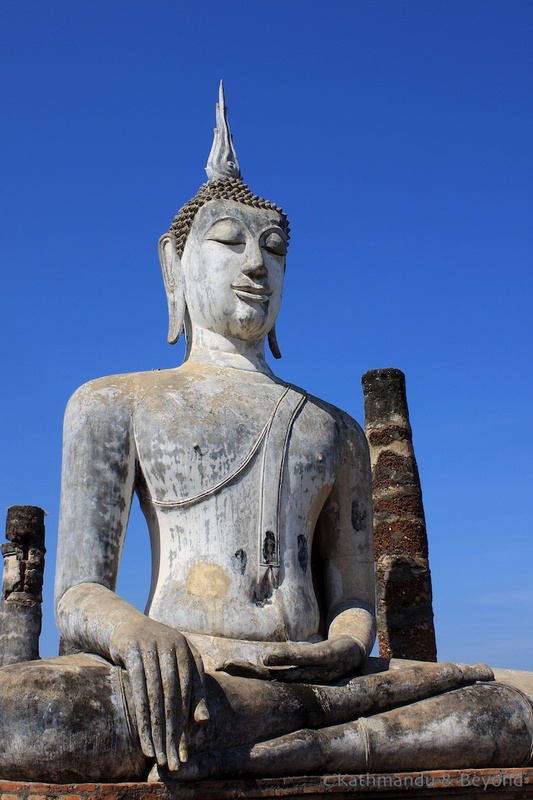 Visit Lopburi at your own peril! Getting to Ayutthaya from Bangkok is simple. There are regular buses departing from Bangkok’s Mo Chit bus station, while lots of minivans depart from Victory Monument. There are also trains connecting the two, which, while they take quite a bit longer, are definitely a nicer way to travel. Heading north from Ayutthaya, there are buses and trains to Chiang Mai that make stops in Phitsanulok, Sukhothai, Lampang and Lamphun. With the latter (Lamphun), express buses normally only pick up and drop off on the highway on the outskirts of town, meaning you will have to take a motorbike taxi the rest of the journey. If you decide to visit all of the above places, be prepared for a 12-hour journey to turn into a journey of at least a week or more! It makes sense to stop in at least one of the places listed above if only to break up what is otherwise a fairly boring journey. 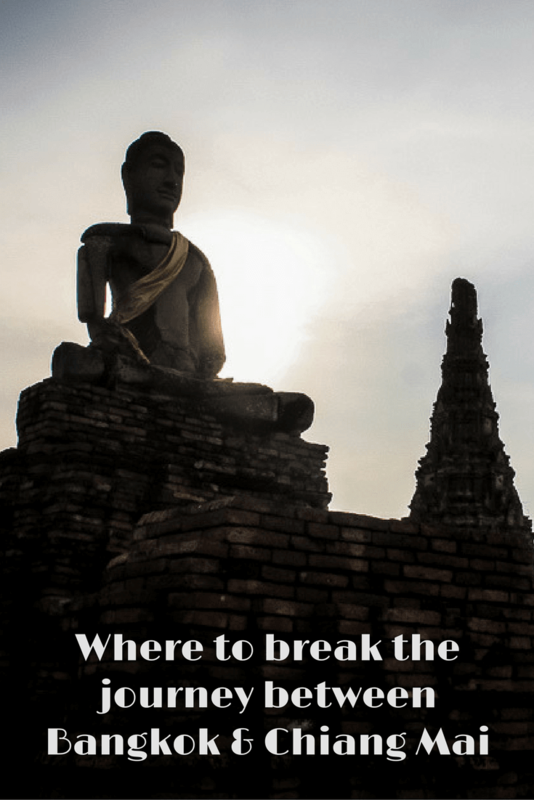 Sukhothai is the obvious destination in which to do this – it’s pretty much halfway between Bangkok and Chiang Mai, the accommodation options are good value and the ancient ruins are really worth seeing. But, personally, I would be reluctant to miss out on the former capital of Ayutthaya either. Of the three places north of Sukhothai, Lampang is by far the most attractive, plus it has other things of interest besides temples. 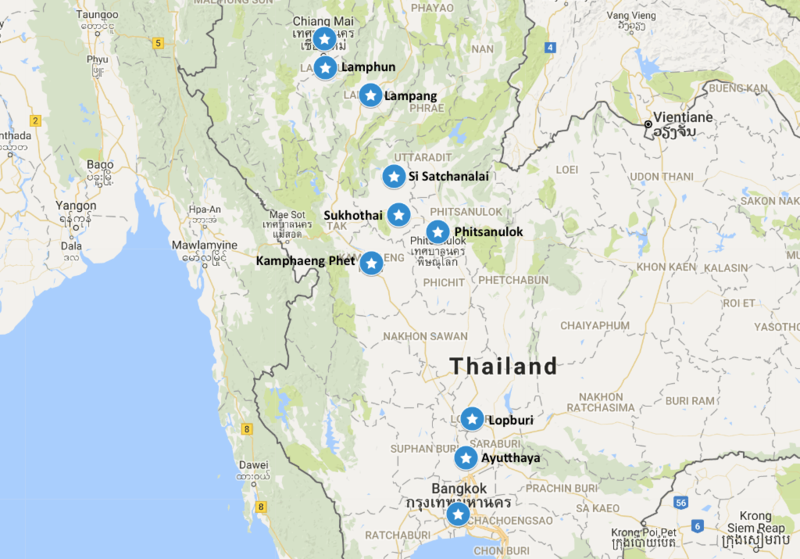 So, in conclusion, I would say don’t race through Central and Northern Thailand in order to get to Chiang Mai asap. Chiang Mai is a great city, that’s for sure, but visit one or two of the above destinations en route and I guarantee you won’t regret it. You hear so many travellers these days dissing Thailand and saying it’s past its sell-by date but that simply isn’t true. Quiz these people and you’ll soon discover that they haven’t gone much beyond Bangkok, the islands and the far north that connects Thailand with Laos. 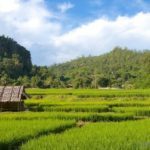 Thailand still has a wealth of fascinating places to lure the visitor and many of these are in Central and Northern Thailand. We’ve been visiting and exploring Thailand regularly for nigh on the past thirty years and we aren’t bored with the place yet! 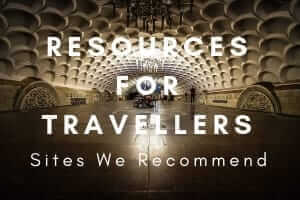 The best and most up-to-date resource on the region is Travelfish which has loads of itinerary ideas. Alternatively, there is Lonely Planet’s brick of a guide to Thailand which is best carried as an ebook these days! CHECK OUT THEIR CURRENT DEAL! 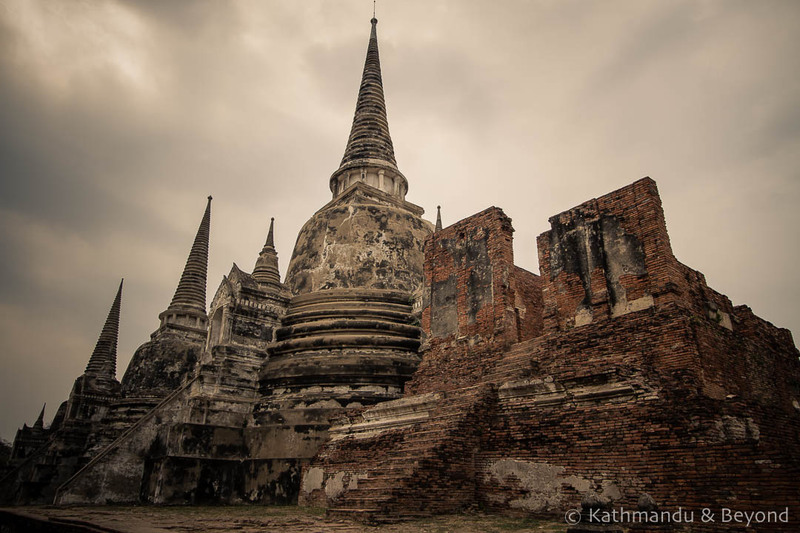 Of these places the only one we’ve gone to is Ayutthaya which was amazing. 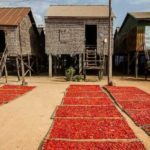 Our regret was seeing it as a day trip from Bangkok – we should have stayed longer. 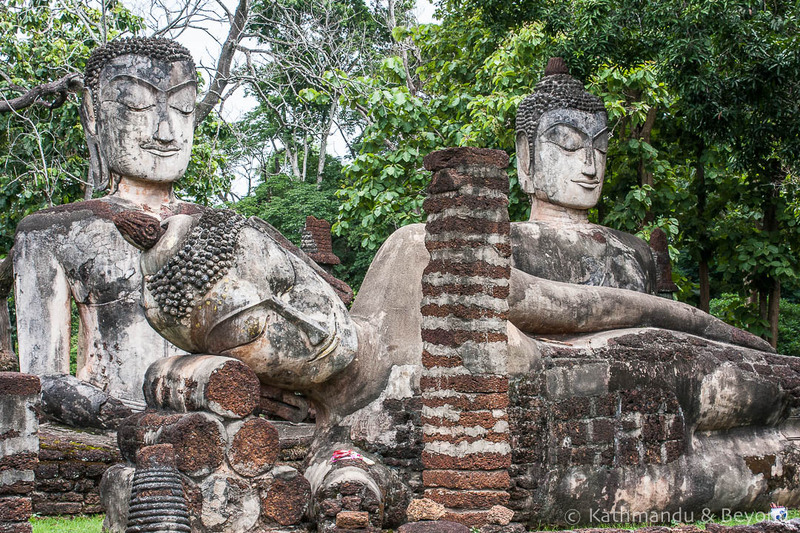 Sukhothai is the one place in Thailand that I really want to see the next time around. Been on my list for a long time. 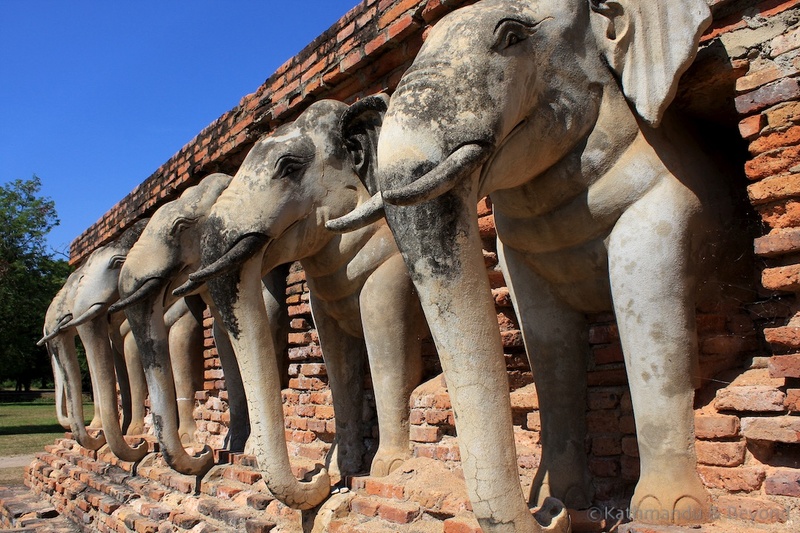 Lopburi – nope, we kind of feel the same abut monkeys. Lots of stuff on TV about those monkeys running around going crazy. 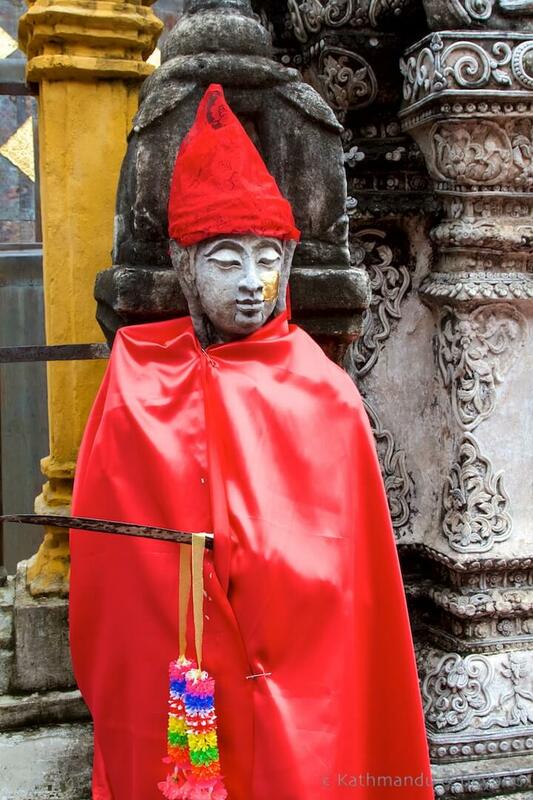 It’s like that rat temple in India – curious maybe, but not enough to actually go there. Thanks Frank! Ayutthaya actually makes a pretty good base, the town is far more pleasant than Sukhothai for example but the ruins at the latter probably have to take the edge in my opinion, but only just! On the whole, monkeys are evil and should be avoided at all times :-). I’m scared witless of them. The only thing that frightens me more than monkeys is cheese – yep, you read correctly – don’t ask!! I’ve re-visited this post in preparation of our April travel plans. Ok, Phitsanulok is being added for a day. So you’ve done Bangkok to Chiang Mai, and Penang to Sinapore. Great posts and so useful. So my question: what are your recommended stops between Bangkok and Penang? That would complete the whole route!